﻿Backpainted glass is a piece of glass is simply a piece of opaque glass that has been painted on one side and viewed from the other. Back painted glass gives the effect of a high glaze over any color or pattern you’re looking to create. 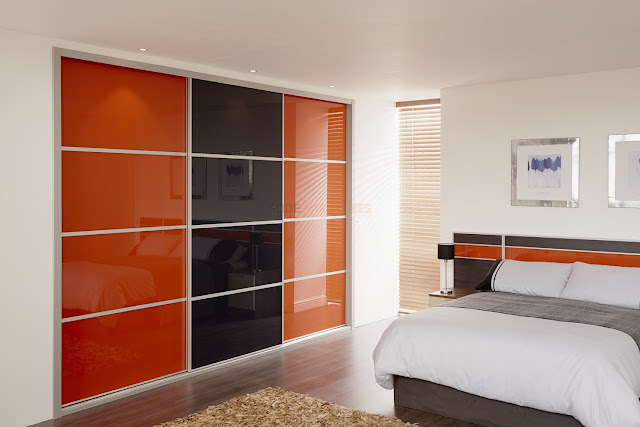 Back painted glass panels gives an enviable prestigious look to your interiors. Decorative painted glass has been used to maximum effect for the impressive entrance and reception area, with a striking back wall. If you want a more contemporary bathroom and are seeking an alternative to wall tile, install Giovani Glass New York backpainted glass. There are various qualities of both glass and paint that you can choose to help you attain the look you’re going for. For instance, if you’re looking for a tempered glass, that is virtually unbreakable, you may pay more for durability. Tempered glass is great for kitchens since it can handle the extreme heat without cracking or breaking. Tempered glass is also must, if you’re looking to use the glass as a functioning whiteboard, a free-standing wall or divider, or any surface that may bear weight. There is no color limitation on backpainting. You can choose any custom color and we can paint it. Backpainted glass is great for showcasing a modern and edgy sense of style. While many homeowners and renovators are turning to the glass as an option for backsplashes, countertops and accent walls, many unique businesses are also looking to backpainted glass to liven up their office and showcase their company in its best light. Many offices are now opting for magnetic glass whiteboards over the traditional board because glass is easy to clean, durable and long-lasting. Offices have been getting creative with backpainted glass; using it for everything from desktops, cubicle dividers, accent walls and more. Many companies are even customizing the glass to match the office perfectly. You can choose the exact color of your company logo, or have the glass engraved with the company name, a logo or a popular quote or mission statement. These custom glass pieces make your office stand out from your competition, and your clients and customers will surely enjoy the look.